Make a Raspberry Pi Case. 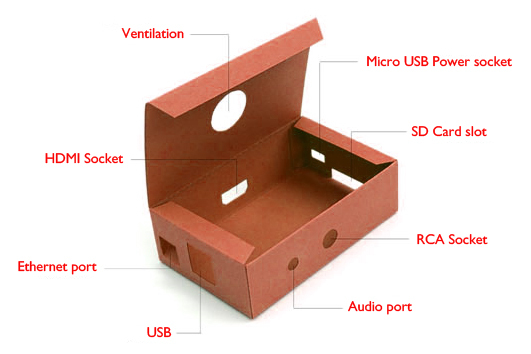 Print out this downloadable pdf PIE_CASE, print on a piece of card, cut out and glue! If your printer will do double sided prints you can ad your own designs.